Since its inception 20 years ago this event has been eagerly anticipated by ice climbers in the Eastern United States and is considered one of the premier climbing events in the country. It is intended to be a celebration of ice climbing and winter mountaineering and the people that make it a part of their lives. It continues to provide a great opportunity for those attending to network, socialize, try new gear and participate in multiple day courses, one-day technical clinics and privately guided climbs. The Mt. 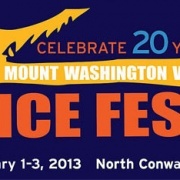 Washington Valley is one of the finest waterfall ice climbing destinations in North America. Each year we offer a variety of skills-based clinics and exciting slide shows with featured climbers and guides from the New England area and around the world. 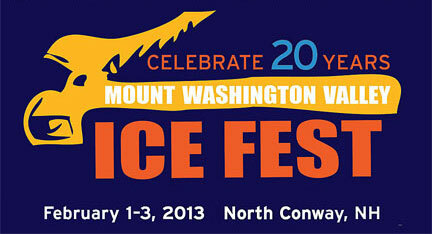 Why Climb with us at Ice Fest? AAC membership get in for $5 or FREE if you signup/renew your AAC membership at the door. 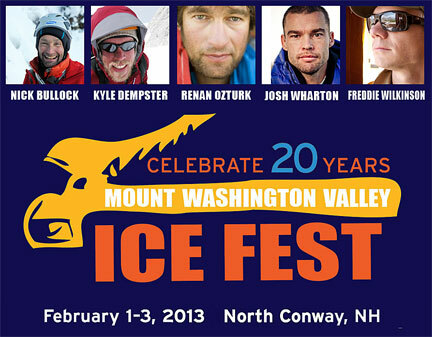 THE 20th ICE FEST BIRTHDAY BASH !!!!! !